My bosses recently have decided to part their ways, so we removed the first boss from the Facebook, yet it shows, that he is the owner of it, as in it is owned by his business. And since he is not so handy with the IT, I took over his account in order to transfer the ownership. But when trying to transfer the ownership, Facebook only allows to deny the request, as soon as I press accept, it shows error and says to try it again later. How is that and how can I fix it? ...followed by the error in the top image. Let the new person register a fake business (can be a brand so no details have to be provided) under https://business.facebook.com/ and try to transfer ownership again. Remove the old account from the admins. 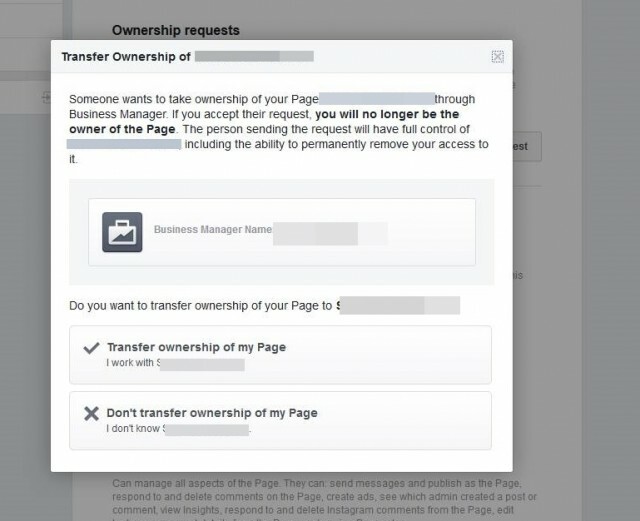 How can I transfer ownership of a business page from my Facebook account to another? Can someone please help me transfer Facebook business page ownership? 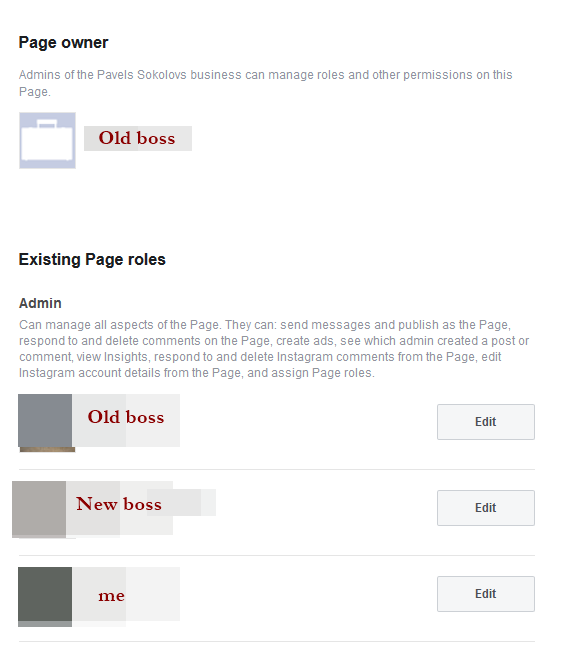 How can I transfer ownership of Facebook business page without the original page owner/personal account?